in batches, increments and streams. Data is the cornerstone of successful cloud application deployments. Your evaluation and planning process may highlight the physical limitations inherent to migrating data from on-premises locations into the cloud. Amazon offers a suite of tools to help you move data via networks, roads and technology partners. The daunting realities of data transport apply to most projects. How do you gracefully move from your current location to your new cloud, with minimal disruption, cost and time? What is the smartest way to actually move your GB, TB or PB of data? For example, if you have a T1 connection (1.544Mbps) and 1TB (1024 * 1024 * 1024 * 1024 bytes) to move in or out of AWS the theoretical minimum time it would take to load over your network connection at 80% network utilization is 82 days. Relax. We’ve done this before. We've found that customers approach this in two ways: they use very basic unmanaged migration tools to move their data or they select one of Amazon's suite of services. There are easy, one-and-done methods to move data at small scales from your site into Amazon's cloud storage. rsync. Customers use this open source tool along with 3rd party file system tools to copy data directly into S3 buckets. S3 command line interface. Customers use the Amazon S3 CLI to write commands to move data directly into S3 buckets. Glacier command line interface. 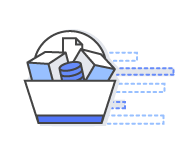 Customers use the Amazon Glacier CLI to move data into Glacier vaults. Optimizing or Replacing the Internet. One should never underestimate the bandwidth of a semi truck filled with disks hurtling down the highway. These methods are ideal for moving large archives, data lakes or in situations where bandwidth and data volumes are simply unrealistic. Friendly interfaces to S3. These methods make it simple to use S3 with your existing native applications. Rather than lifting and shifting large datasets at once, these help you integrate existing process flows like backup and recovery or continuous Internet of Things streams directly with cloud storage. Which AWS-Managed Tool Is Right For Me? Need a hand with your specific case? Let us help. These migration methods enhance or replace the Internet to lift-and-shift data from your current location straight into Amazon's datacenters. No development work or APIs are supported, and transfers may impact your existing on-premises processes. Explore our Direct Connect Partner Bundles that help extend on-premises technologies to the cloud. Customer select a Direct Connect dedicated physical connection to accelerate network transfers between their datacenters and ours. Learn more about the Direct Connect service. Learn more about the Snowball service. Available Internet Connection Theoretical Min. Number of Days to Transfer 100TB at 80% Network Utilization When to Consider AWS Import/Export Snowball? 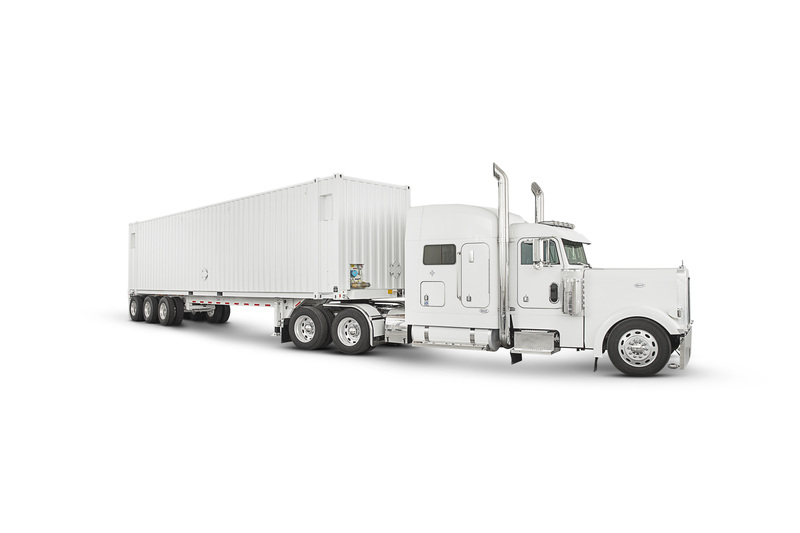 Snowmobile is an exabyte-scale data transport solution that uses a secure semi 40-foot shipping container and to transfer large amounts of data into and out of AWS. Using Snowmobile addresses common challenges with large-scale data transfers including high network costs, long transfer times, and security concerns. Transferring data with Snowmobile is done through a custom engagment, is fast, secure, and can be as little as one-fifth the cost of high-speed Internet. Learn more about the Snowmobile service. This is ideal for recurring jobs that travel across the globe, such as media uploads, backups, and local data processing tasks that are regularly sent to a central location. Sometimes disruption isn't an option. When legacy data stores can gradually migrate over time, or when new data is aggregating from many non-cloud sources, these services are a good fit. 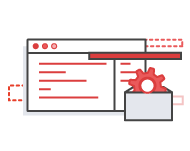 These migration services may leverage or complement existing installations like backup and recovery software or a SAN, and you may also program the AWS Firehose service into your own applications. 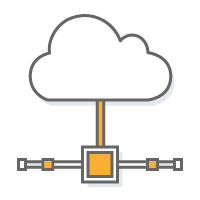 A gateway sits on-premises and links your environment to the AWS cloud. It's an ideal solution for hybrid scenarios where some storage is needed locally for performance or compliance reasons, but some may be offloaded to S3. 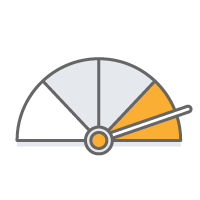 Consider combining the AWS Direct Connect service with your gateway to ensure optimal performance. 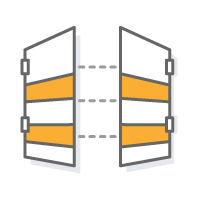 The AWS Storage Gateway service simplifies on-premises adoption of AWS storage. Your existing applications connect to a local gateway via industry-standard block and tape storage protocols to store data in Amazon S3 and Amazon Glacier. Data is compressed and securely transferred to AWS. Storage Area Network (SAN) configurations store or cache volumes locally, with point-in-time backups as EBS snapshots. These snapshots may be recovered in the cloud. 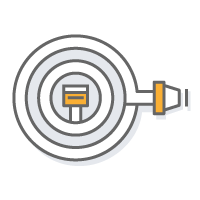 Virtual Tape Library (VTL) configuration seamlessly integrates with your existing backup software for cost effective tape replacement in Amazon S3 and long term archival in Amazon Glacier. 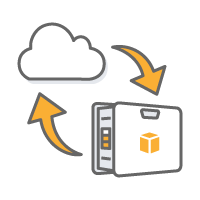 Learn more about the AWS Storage Gateway. AWS has partnered with a number of industry vendors on physical gateway appliances that bridge the gap between traditional backup and cloud. Link existing on-premises data to Amazon's cloud to make the move without impacting performance and preserving existing backup catalogs. Learn more about Gateway Partnerships. Snowball Edge is a petabyte-scale data transfer device with on-board storage and compute capabilities. You can use Snowball Edge to move large amounts of data into and out of AWS, as a temporary storage tier for large local datasets, or to support local workloads in remote or offline locations. Learn more about the Snowball Edge. Amazon has partnered with industry vendors to make it very easy to bring your backups and archives into the cloud. The simplest way to move your data may be via an S3 connector embedded in your existing backup software. The clear advantage to this approach is that the backup catalog stays consistent, so you maintain visibility and control across jobs that span disk, tape and cloud. Learn more about AWS Kinesis Firehose. 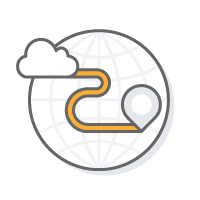 Learn more about the different AWS services that transfer on-premises data to and from the AWS Cloud. This resource is designed to provide guidance on application architecture best practices. A collection of best practices, frameworks and resources to help with your AWS Cloud migration. A program to help enterprises that are committed to cloud migrate their existing workloads to AWS.